This year’s Consumer Electronics Show was dominantly a battle between Amazon and Google for the most part, with the latter unveiling a bevy of new smart display devices in a move to take on the former’s smart speaker with a built-in screen announced in May last year. But the Mountain View, the California-based internet giant isn’t just settling with one smart display, but four, thanks to its partnership with Lenovo, Harman-owned JBL, LG, and Sony. The alliance between those tech giants has given Google Assistant a new face literally, bringing the virtual assistant from your phone and from smart speakers to the bigger screen. The Lenovo Smart Display from the Chinese OEM, for example, is powered by Google’s voice-enabled personal assistant. The same is true with JBL’s Link View (8-inch and 10-inch variants), the LG ThinQ, and Sony’s as yet unnamed smart display. 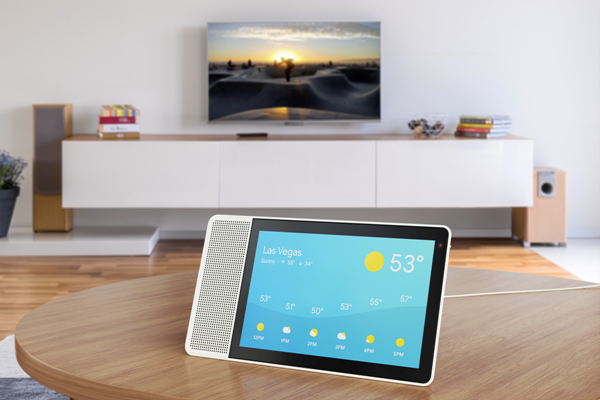 But how exactly do these Google Assistant-powered smart displays differ from the Echo Show? While details about the smart display offerings from Lenovo, JBL, and LG have been made already, no word yet about Sony’s bet. In this post, therefore, we’re limiting our comparison to the Echo Show, Lenovo Smart Display, JBL Link View, and LG ThinQ. In terms of design, the four smart displays we’ve seen so far vary slightly in a number of ways. Let’s discuss the dimensions first. The Echo Show measures 187 x 187 x 90mm while the Lenovo Smart Display has a dimension of 311.37 x 173.87 x 136.02mm for the 10-inch variant. The JBL Link View, on the other hand, measures 330 x 150 x 100mm, making it the biggest in the competition, thanks to its oval shape. Speaking of shape, the Echo Show has a trapezoid shape on the back that helps the device lean backward. It has a square face as well, which the same to that of the Lenovo Smart Display. The LG ThinQ has a rectangular face, meanwhile. 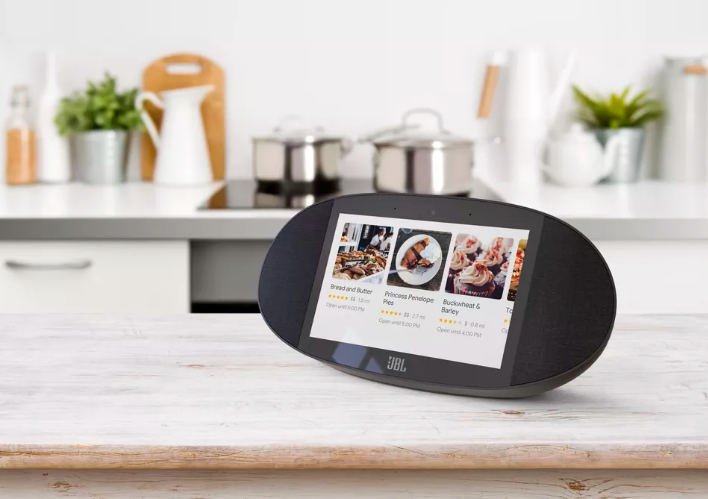 Additionally, the speaker grilles on the Echo Show sit under the landscape display while those of the Lenovo Smart Display are found at the left corner of the screen. When considering which smart display to choose once they go on sale, keep in mind that the JBL Link View includes an IPX4 rating, so it has the upper hand over the others. When it comes to screen sizes, the Lenovo Smart Display comes in two variants as mentioned above, so there’s a couple of options for you, with the 10-inch variant sporting a full HD IPS display and a resolution of 1920 x 1080 pixels. The 8-inch version has a slightly lower resolution of 1280 x 720 pixels. 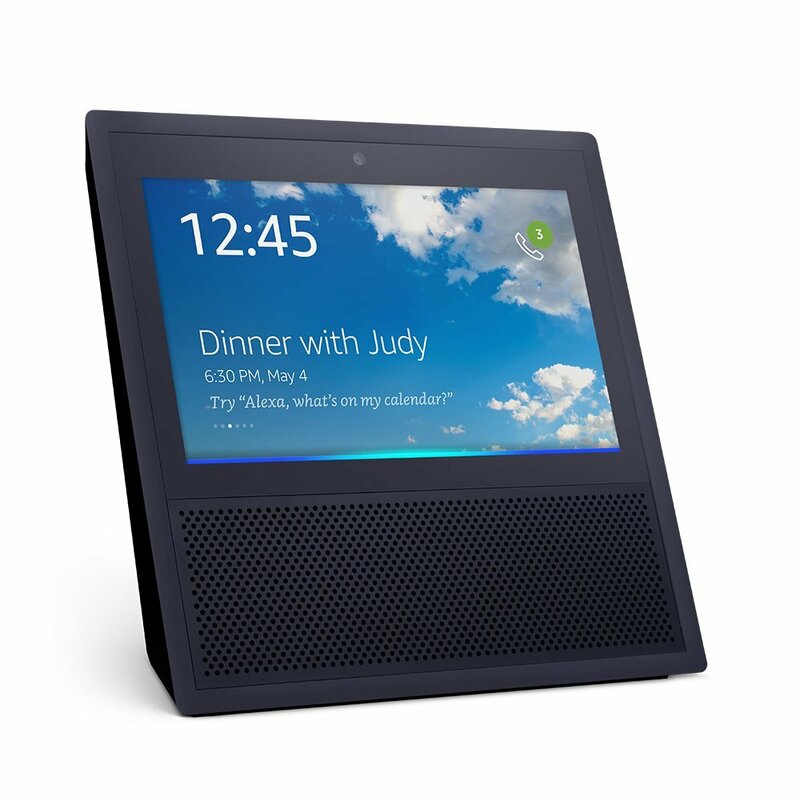 On the other hand, the Echo Show sports a 7-inch touchscreen that you can use for a wide variety of voice-assisted tasks. It has a resolution of 1024 x 600 pixels. 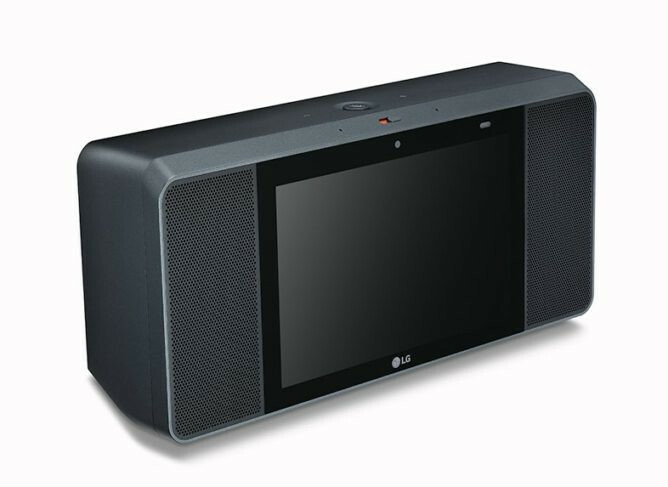 The JBL Link View comes with an 8-inch high-definition touchscreen with a built-in camera and the LG ThinQ has the same screen size as JBL’s. However, resolutions of these smart displays are not immediately known at present, so it’s safe to assume that the Lenovo Smart Display is a better option if you wish to watch a video or sift through your photo album using voice command. The Lenovo Smart Display is using Qualcomm’s new Home Hub Platform powered by Snapdragon 624 while the Echo Show is fueled by an Intel Atom x5-Z8350 processor. No word yet on what’s fueling the JBL Link View and the LG ThinQ, but Google recently confirmed that the latter is running on Qualcomm’s SD624 Home Hub Platform while Qualcomm previously announced that Harman is using its platform. Nonetheless, there’s really no telling what hardware performances better until all of the Smart Display contenders are subjected to actual testing. Additionally, the JBL Link View includes a pair of 10W front-firing stereo speakers and is equipped with a rear passive radiator while the Lenovo Smart Display has a pair of 10W speakers with dual passive radiators. The LG ThinQ, on the other hand, has a pair of “Tuned by Meridian Audio” speakers flanking the device while the Echo Show boasts a pair of 2-inch stereo speakers in the front, promising a great sound experience overall. Guessing from the aforementioned specs, we expect the Echo Show to take the lead in this respect. At its core, the JBL Link View, Lenovo Smart Display, LG ThinQ and Sony use a modified version of Google Assistant, offering a new type of experience for a fresh type of screen with a simpler interface since it’s a whole lot different from the Google Assistant installed on your smartphone. However, the overall experience doesn’t vary much from that of Google Home or your Google Assistant-equipped smartphone, except that you can’t install Android apps to these smart displays since they’re not another Android device. Nonetheless, you can still use them to ask for directions from Google Maps displayed on the screen in addition to switching off your lights. The Echo Show provides a basically similar experience. You can ask for calendar entries or a list of ingredients for your dinner using your voice and see them on a visual display. This is thanks to Alexa, which offers a full suite of features to let you control all sorts of smart home devices, play games, or listen to music, among others. 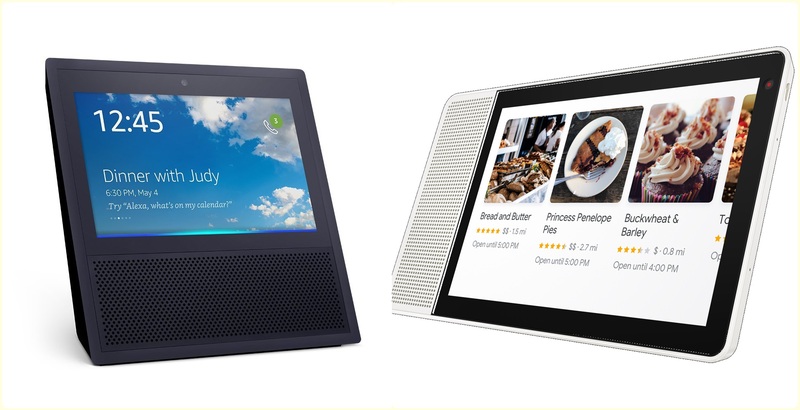 The Echo Show has the lead over the other smart displays since it’s already out on the market for $229, though Google Assistant seems to be smarter than Alexa when accepting commands. Nonetheless, if you wish to get your hands on a smart display at an affordable price right now, Amazon’s bet is your only option, though that may change soon. Should you buy the Xiaomi Mi Mix 3 over the Google Pixel 3?